I last visited Chatterley Whitfield in 2007, and not much has changed, except you can’t go in the bath house now, which is a shame. Gas holders are an increasingly rare sight in Britain now, and this one in Burnley was in the middle of demolition when I had a quick look. I was pleased to visit English Fine Cottons to have a look round their impressive mill. While the textile industry hasn’t died in manchester, it’s a fraction of the size it once was, so to see a spinning mill re-opening was a real treat. 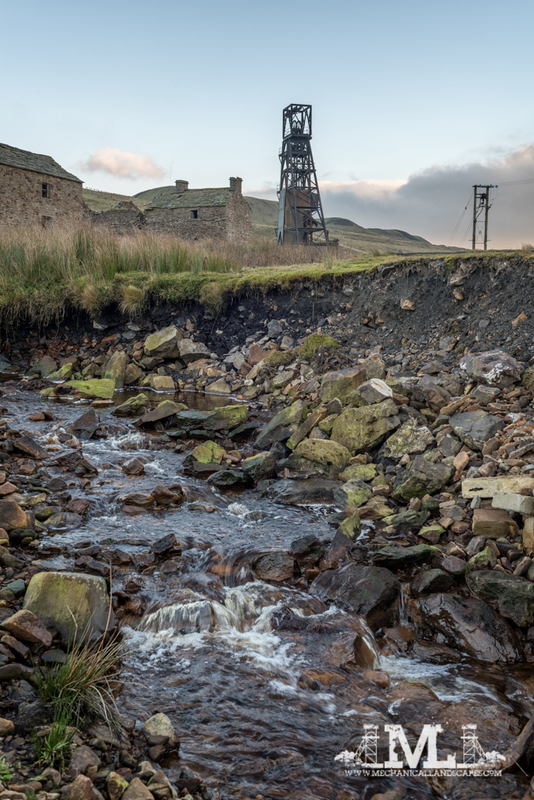 And finally the year ended with a trip back to Grove Rake, a place that unlike Chatterley Whitfield, had changed quite a lot since my first visit in 2008. Finally, I published the second edition of Shadows of the North, on sale here if you are interested! So, quite a productive year, more so than the previous few! What will 2017 bring……? All good stuff – great photo quality and very intersting sites, well captured…. On the Chatterley Whotfield pithead, is that really 3 winding heads over 3 separate shafts all so close together? Thanks Keith! Yes, they are close together, although perhaps not as close as that picture makes out as I used a 70-200 to compress the perspective. A great year’s work Andy. I have really enjoyed reading your posts and look forward to more quality from you in 2017 🙂 I especially appreciated the Grove Rake shots. Keep up the stunning work mate! Thanks Iain! 2016 was the most productive year in some time, 2017 is unlikely to be anywhere near. I’ve got more ideas than time currently so it’s going to be a case of squeezing things in when I can.